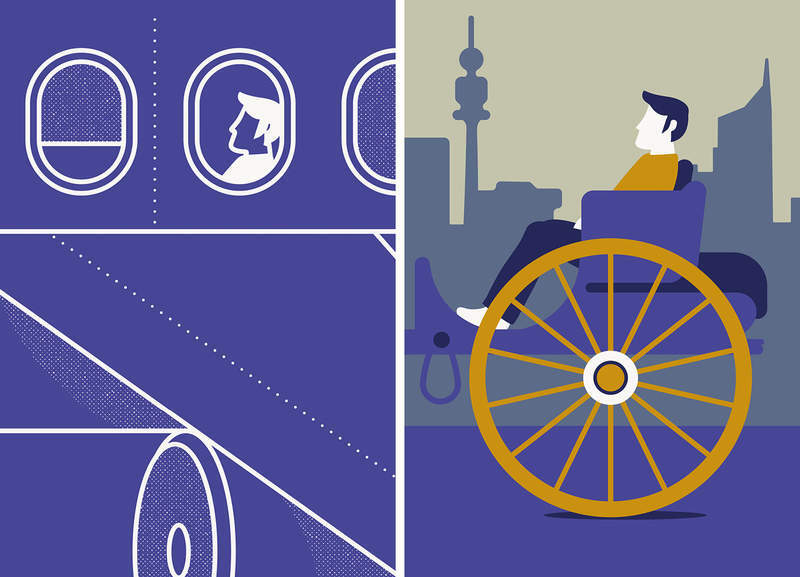 A new project at Vienna’s International Airport mixes contemporary illustration with traditional motifs in a clash of colour that’s bound to impress incoming passengers. Travellers landing on Vienna’s International are now greeted by a collection of colourful posters depicting typical Austrian and Viennese traditions and clichés, overlapped with more ordinary, but equally engaging, snapshots to create a dynamic image that changes as the audience’s viewpoint shifts. The project, called the Secret Gallery, has been on display in the airport’s arrival hall in Terminal 3 since November 2016. The display is a collaboration between Viennese design studio Seite Zwei, Austria’s national tourist office Österreich Werbung, and the city’s tourist board WienTourismus. 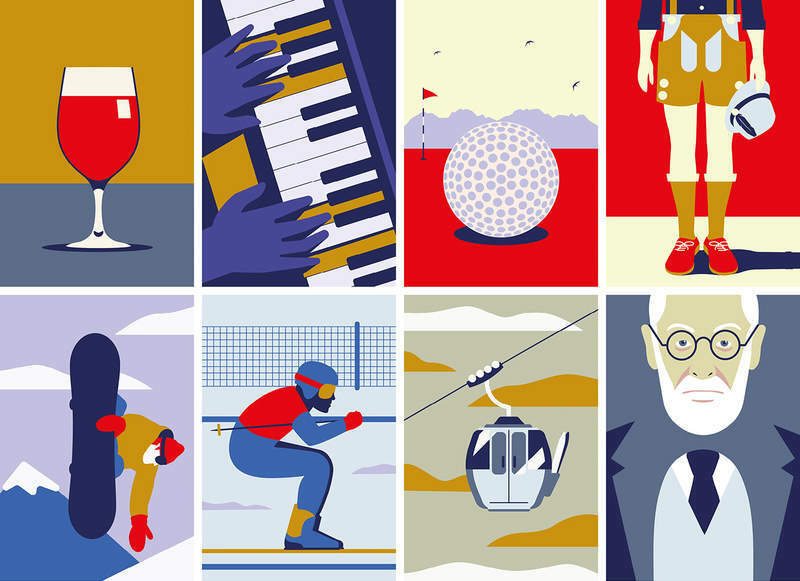 “The message is to get out of your daily routine and open your eyes to the Austrian culture,” says artist and designer Daniel Triendl, who together with illustrator Karan Singh, delivered the visual part of the project. “I have a love of bold colours and consistently use them in my work as a tool to inject a sense of energy. My forms and shapes mimic this sensibility, often through geometry and abstraction,” Triendl says. 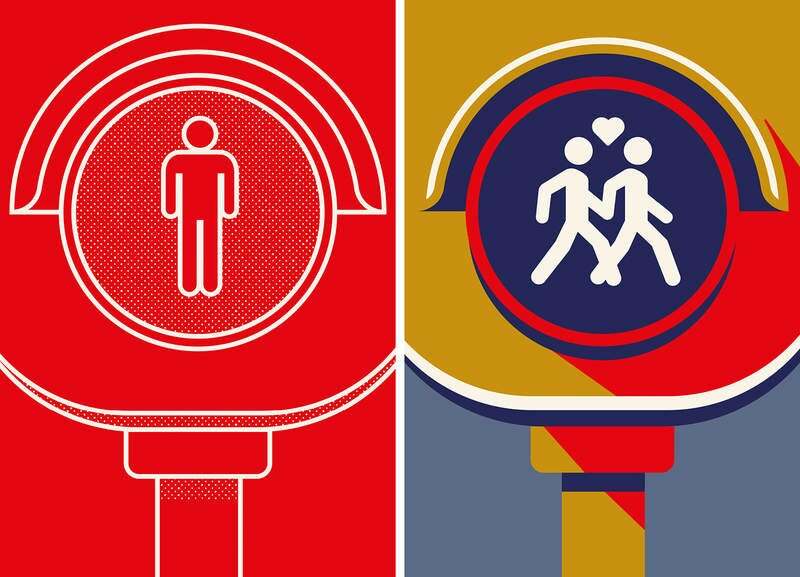 The eye-catching posters use lenticular transition to morph from one scenario into the other, in an attempt to show a wealth of Austrian history, culture and traditions often hidden in plain sight. As the viewer walks by, the posters’ focus shifts and the contours of everyday objects – such as a business suit, a tie, or a mouse cursor – change to reveal the outlines of more traditional objects of Austrian origin. Themes such as the Wiener sausage, traditional leather breeches called lederhosen or Sachertorte, a type of Viennese chocolate cake, are displayed alongside information on the country’s performance in ski championships, the city’s sustainable public transport or its long stretches of sandy beaches. Inspiration behind the images came from a mix of Austrian folklore, such as designer Joseph Binder’s artworks, vintage posters and the famous graphics and imagery produced by the century-old Wiener Werkstätte (Vienna’s Workshops). At the end of the gallery, travellers can find a web address where they can explore Austria’s treasures in more depth. “An airport is kind of a non-place,” Triendl says. “It’s like being in the middle of two different worlds. The artworks represent a similar feeling, which helps a lot to convey that message. Vienna International joins London’s Heathrow, Paris’ Roissy-Charles de Gaulle and Amsterdam’s Schiphol among the European airports that offer visitors the opportunity to admire art before or after their flight. Last year, the airport set three different traffic records, including the busiest day, the best month ever, and exceeded the threshold of 23 million passengers for the first time in its history. At present, operator Flughafen Wien is undergoing a €50 million development project for the construction of a new office on the airport’s grounds.